Originally from San Juan, Puerto Rico, Alexa began her training in classical ballet at a very early age at the Academia de Ballet Tanya under the direction of Tanya Beléndez. Throughout the years, she has had the opportunity to train with such master teachers of classical ballet, flamenco, pointe, partnering, character, jazz, and Broadway techniques as: Ballet Teatro Municipal de San Juan under the direction of Vanessa Ortiz; Diana Pérez, Nahir Medina, and Rosario Galán; Eglevsky Ballet Company under the instruction of Jane Miller, Michael Vernon, Elizabeta Calero and Nahir Medina; Ballet Austin in Texas and at The University of Wisconsin in Madison. Alexa has been invited to perform as a guest artist for Ballet Teatro Municipal de San Juan, Compañia de Baile Moderno in Puerto Rico, as well as a soloist for the Jacksonville Ballet Theater (JBT) under the direction of Dulce Anaya. She has also performed locally in the Jacksonville’s Community Nutcracker. 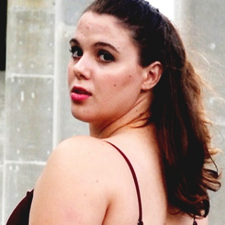 Alexa began teaching ballet at the age of fourteen and has taught dance in Jacksonville since 2006. She taught ballet for seven years at Boleros Cultural Arts Center for the Theater Dance Department and has also been a guest ballet instructor for The Bean School of Dance in Fernandina Beach and Jacksonville Ballet Theater. In 2010, Alexa developed her own specific outreach ballet program for pre-schools throughout the Jacksonville community. Alexa brings her talent, training, experience and passion for dance to students of all ages. 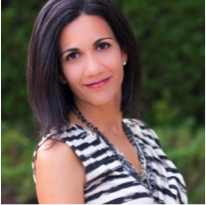 Moreover, Alexa is proud to be the President and Co-Founder of the Alius Dance School and is a Certified Level I Instructor for Scott Putman’s Elemental Body Alignment System (EBAS). While pursuing her love of dance, Alexa’s personal achievements also include a Bachelor of Science in Civil Engineering from The Polytechnic University of Puerto Rico and a Master of Science in Civil Engineering (Structural) from the University of Texas at Austin. Alexa holds a Professional Engineer License in the state of Florida. She is also a devoted wife and proud mother of two wonderful boys, Diego and Sergio. 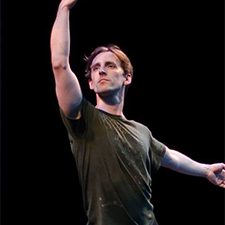 Bryan Jenkins trained from 2002 through 2003 with Florida Ballet under the direction of Laurie Byrd. In 2003 he was accepted into the Harid Conservatory on full tuition scholarship, where he was trained exclusively in classical ballet. Upon graduating from Harid, Mr. Jenkins joined Houston Ballet II and also performed with Houston Ballet in many productions. Mr. Jenkins received the Most Improved Award given to him by Houston Ballet’s artistic and academy staff in 2006. Bryan taught level 3 at the Houston Ballet Academy in 2005 -2006 school year. In April 2006 he set Stanton Welch’s Fingerprints on the Cincinnati Ballet where he coached Joseph Gatti in the lead male role. In the summer of 2006, Bryan taught level 7 at the Houston Ballet’s summer program and set Welch’s Bruiser. In 2006 Bryan joined BalletMet in Columbus, Ohio where he spent the next 5 years dancing many lead roles. As a guest artist he has performed the Nutcracker role of Caviler for Dance Arts Los Alamos, Albrecht in Jacksonville Ballet Theater’s Giselle and Franz in Charlottesville Ballet production of Coppelia. Mr. Jenkins is an American Ballet Training® Certified Teacher, who has successfully completed Teacher Training Intensive in Primary through Level 3 of the ABT® National Training Curriculum. Mr. Jenkins also teaches ballet at LaVilla School of the Arts and is a Guest Artist Teacher for Manhattan Dance Project. Natalie started her dance training at the age of eight at a local dance studio in central New Jersey. While in New Jersey, she was asked by both The Ailey School and The Royal Ballet School to attend master classes and workshops. She has studied a variety of dance styles including: Ballet, Jazz, Modern, Contemporary, Tap, Character, Flamenco, and Musical Theater. She has performed in multiple classical ballets including Coppelia, Don Quixote, Sleeping Beauty, and Giselle with the Jacksonville Ballet Theatre under the direction of Dulce Anaya. She also performed several times for Jacksonville’s Community Nutcracker and the Moscow Ballet’s Great Russian Nutcracker. Natalie began teaching at the age of fourteen and hopes to continue teaching throughout the rest of her dance career. Natalie has choreographed for several dance and musical productions, such as Northeast Florida Conservatory’s White Christmas and River City Dance Project’s Alice’s Adventures in Wonderland and Peter Pan. Ms. Natalie is very proud to be part of Alius Dance School where she can continue sharing with her students her love for dance. Originally from Venezuela, Josmary began dancing when she was only 3 years old. After taking ballet classes twice a week for 10 years, Josmary experimented with other dance disciplines such as Jazz and Hip Hop. But it was until she started college, in her native Venezuela, when she joined the flamenco school La Macarena. On her first flamenco recital Josmary led Pasodobles and Sevillanas. On 2008, after moving to United States to attend the University of North Florida, she joined Naomi Vail’s Fuego Flamenco where she keeps learning about this art and still expresses herself through the flamenco Duende. 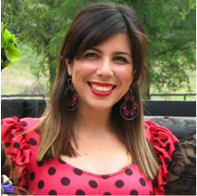 Josmary has been teaching youth flamenco classes since 2012. 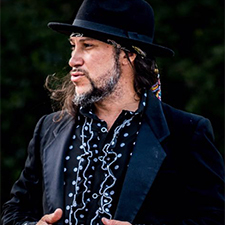 Josmary has studied with many important flamenco artists, among them Juan Siddi, Antonio Granjero, Juan Paredes, Siudy Garrido from award winning Broadway show Between Worlds, and with flamenco legends such as Antonio Canales and Farruquito. Josmary has collaborated with a number of artist as a guest performer in Jacksonville and Saint Augustine. On January 2015, she participated in the filming of the Visit Florida television commercial with Telemundo which is currently broadcasting nationally. Ms. Dallas is originally from Texas and moved to Jacksonville, Florida with her family in 2009. Dallas completed a 5 year contract with the United States Marine Corps in 2010. 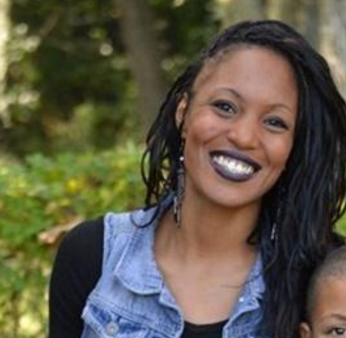 In 2013, she joined Jacksonville’s dance community, learning and collaborating with local artist and choreographers such as Kavin Grant and Sam Hills, among others. She is a performer at InCahoots, co-owner of TNT Entertainment & Productions, and owner of A.I.M 4 Higher Artistic Fitness Program. She began her dance journey at the age of five. Since then, she has participated in four dance teams and has choreographed and/or performed in many pride festivals in multiple cities, community awards ceremonies, and stage performances. Dallas has had the opportunity to volunteer at schools within Jacksonville’s school district to work with young students. Ms. Dallas loves teaching dance to children, especially at the more beginner level and focuses in offering her students confidence as beginner dancers. Madeline began her dance training at the age of four at Boleros Cultural Arts Center. Over the past twelve years, Madeline has trained in ballet, tap, contemporary, jazz, and modern. She began training with Alexa Mieses at the age of eight and currently continues her training at Alius Dance School. Madeline has performed in multiple productions including Community Nutcracker, Moscow Ballet’s Great Russian Nutcracker, Excerpts of Sylvia, Alice in Alice in Wonderland, Peter Pan, and Charlotte in Princess and the Frog. In 2015 and 2016, Madeline competed at the Youth America Grand Prix ballet competition in Atlanta and Houston, where she gained performance experience and attended master classes at Atlanta Ballet and Houston Ballet. Madeline is a junior in the International Baccalaureate program at Paxon School for Advanced Studies and is the Technical Theatre Director for Paxon’s theatrical productions. Born in Cuba, Joel began his dancing career at a young age studying classical ballet with the Ballet Nacional de Cuba. One of the best ballet training schools recognized worldwide by the best ballet companies. In 1990, Joel joined the professional flamenco company, The Spanish Nacional Ballet de Cuba; from there a long journey with the dance form of his ancestors would begin (his father hails from Southern Spain). He toured the world with the Spanish Nacional Ballet de Cuba, performed at several Grammy Award shows, appeared in several music videos, and earned the opportunity to dance with a plethora of incredible performers, including Gloria Estefan, Madonna, Celia Cruz, and Julio Iglesias. When his contract ended with the Cirque du Soleil production Mystere, Joel came to St. Augustine, Florida. Joel brings a worldwide expertise and renowned classical background to Alius’ dance program.